So, this stinks. Instagram is now deleting all images uploaded through the popular Windows Phone 8 app Instance — even though there still isn't an official Instagram app for WP8. Images are being deleted a short time — just seconds, often — after being uploaded using the third-party site. One Giz staffer who uses Instance as his primary Instagram app even had his account surreptitiously deleted about two weeks ago, with no followup or communication from Instagram, even after multiple attempts to follow up. Without a response, we can't know for certain why the account got yanked. But, come on. The deletion itself is mystifying Instance dev Daniel Gary, who called the detection "like magic" on Twitter. So, why is this happening? Two reasons. One is that Instagram would rather you be operating entirely through its official platform and apps. Totally fair, except for the fact that there's no damn Instagram app on WP8. 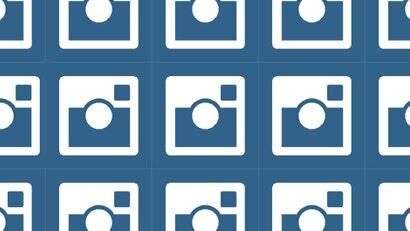 The other reason is Instagram's new partnership with Hipstamatic, which allows the service to post images to Instagram. It's probably safe to assume Hipstamatic ponied up a decent amount to get those rights, officially, and this culling could easily be part of the deal.